Vancouver’s famously tolerant attitude towards pot has been taken to the next level, in a city where police already routinely turn a blind eye to medical marijuana dispensaries and not-yet-legal-in-Canada public puffing. Among the kale and chives at the community garden on the lawns of Vancouver City Hall, someone has been openly and illegally cultivating cannabis. No effort was made to conceal the seedlings, about 20cm high. On Monday afternoon, the healthy looking plants were standing proud in two grey planter boxes in the centre of the garden. University of British Columbia adjunct professor in botany Jonathan Page confirmed that the distinctive-looking plants in photos provided by the South China Morning Post were cannabis. “They are definitely cannabis plants though one cannot tell if they are drug type or hemp,” he said, distinguishing between plants with high and low levels of the drug compound tetrahydrocannabinol (THC). “It looks like the lower leaves have been trimmed,” added Page, who was the first scientist to sequence the cannabis genome and is the founder and CEO of cannabis-testing company Anandia Labs. The federal Liberal government of Prime Minister Justin Trudeau is pushing to legalise marijuana, but in case it needs to be said – it is presently illegal to grow cannabis plants outside City Hall. But the Vancouver Police Department, whose chief does not consider marijuana consumption or illegal dispensaries to be a high priority for enforcement, was nonplussed. Vancouver City Hall communications manager Tobin Postma said the plants “appear to be young hemp”. “As the plants are not part of the community garden I have asked our staff to remove the boxes and the plants,” Postma said. Update: By Tuesday afternoon, the plants had been uprooted and were nowhere to be seen. Depending on circumstances, the possession and consumption of marijuana for medical purposes can be legal in Canada, as can cultivation, albeit requiring official authorisation. New regulations introduced last August 24 allow individuals who register with Health Canada to grow a limited number of plants for personal use. “In general, every one gram of dried marijuana authorised will result in the production of five plants indoors or two plants outdoors. Individuals must indicate in their application whether they intend to produce marijuana plants indoors, outdoors, or partial indoors/partial outdoors,” the Health Canada guidelines to the regulations state. 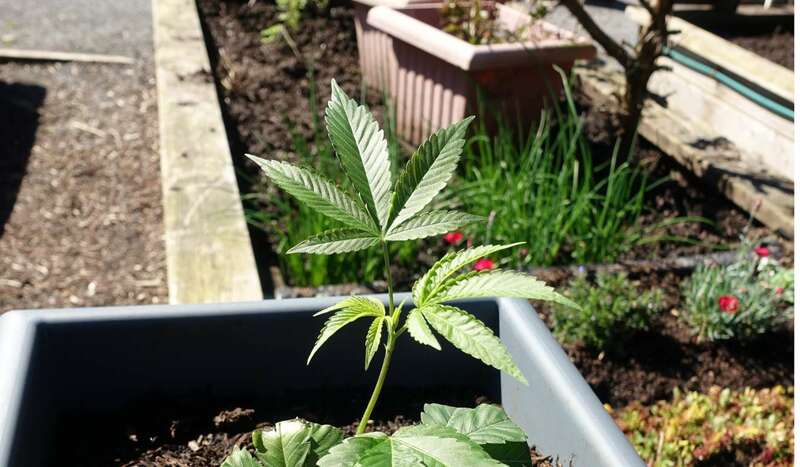 At the modest City Hall grow-op, on the corner of busy Cambie Street and 12th Avenue, the cannabis plants were waving in the breeze on Monday as young children frolicked nearby and office workers ate their lunch on park benches in the rare Spring sunshine. However, botanist Page said the safety risk posed by the plants was “pretty insignificant”. “I don’t think it’s a hazard. If they even contain THC it’s going to be very low THC,” he said. 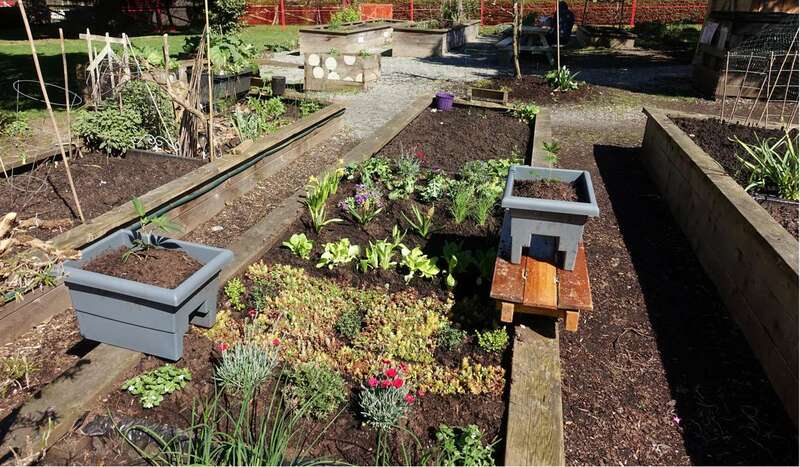 More than 100 community gardens are scattered across Vancouver, on both public and private land. They allow residents to grow their own food in an urban environment, and are popular as an educational tool for schoolchildren. In addition to a flourishing illegal marijuana industry featuring world-famous “BC bud”, Canada also has a legal hemp industry, whose low-THC plants are used for purposes ranging from making paper and soap to food. Its cultivation is strictly regulated and licensed. Page, who grows and studies marijuana under strict conditions and “tonnes of security”, said the City Hall plants would probably have done well if left unmolested. “BC is well known for its marijuana production. The majority of that is indoors, but some is grown outdoors and it does well with our warm Mediterranean summers, although it’s a little cool for them right now,” he said.